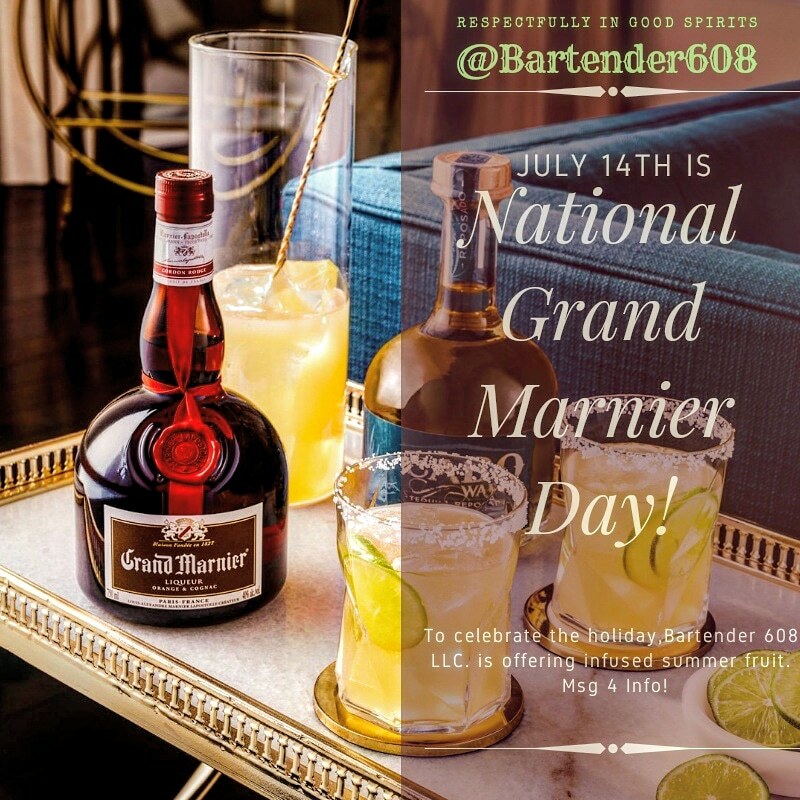 July 14th is National Grand Marnier Day! — Bartender 608 Intoxicologists & Cocktail Caterers, LLC. "An 1880s French invention by Alexandre Marnier-Lapostolle, Grand Marnier adds a splash of orange liquor to mixed drinks or desserts.Â Also enjoyed neat, this cognac concoction blended one of the most expensive fruits of the time with a strong spirit.